From the cover: The selections on each side of the record are placed in an ascending order – from lowest to highest stimulation value. 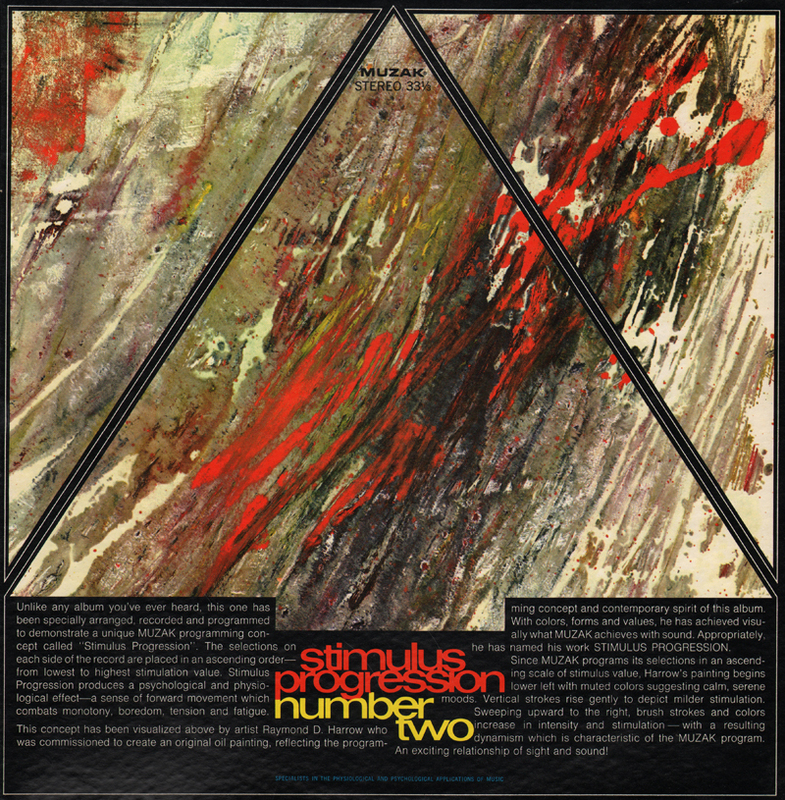 Stimulus Progression produces a psychological and physiological effect – a sense of forward movement which combats monotony, boredom, tension and fatigue. 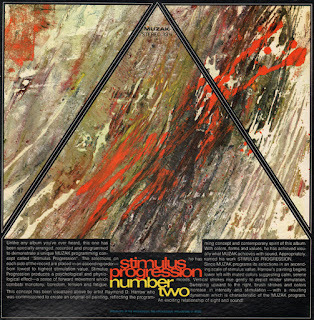 The concept has been visualized above by artist Raymond D. Harrow who was commissioned to create an original oil painting, reflecting the programming concept and contemporary spirit of this album. With colors, forms and values, he has achieved visually what MUZAK achieves with sound. Appropriately, he has named his work STIMULUS PROGRESSION. From Billboard - October 17, 1960: A most classy and artistic production with a cover to match. Almedia shares the spotlight with an inventively conceived ensemble which includes mezzo-soprano voice (Salli Terri), a viola, flute and clarinet. The programs follows its title idea with considerable ingenious musical repartee between the instruments and the voice. Selections are taken from Spanish and Mexican folk lore as well as from the catalog of Villa Lobos and Almeida himself. 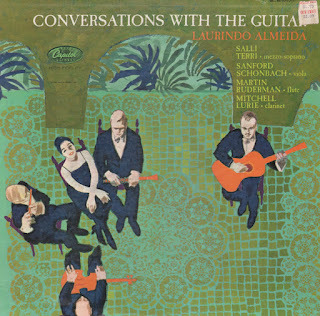 Cover shows painting of the interesting ensemble at work. Imaginative packaging. 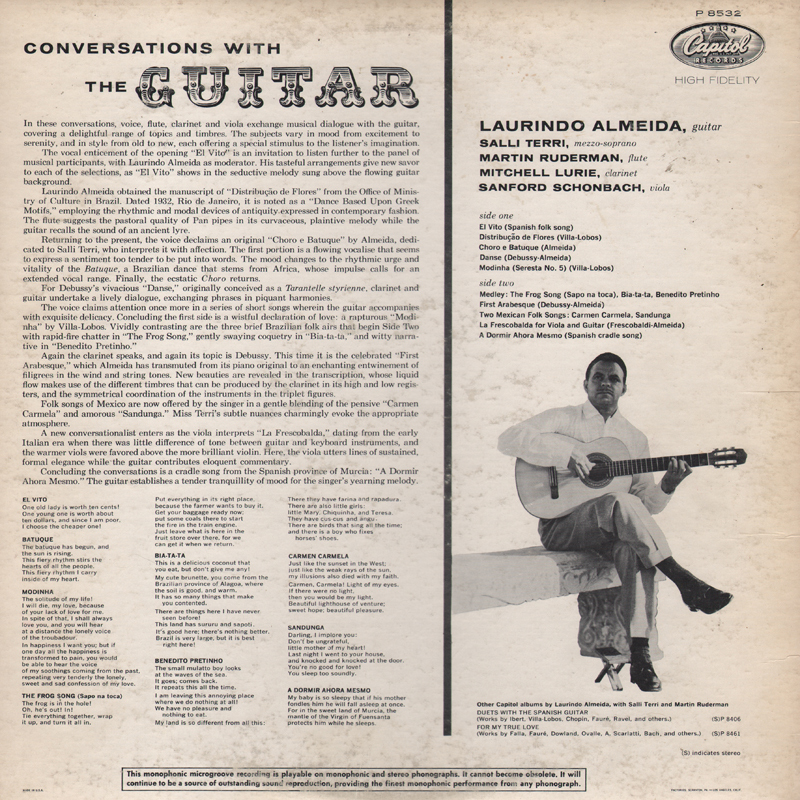 From the back cover: Lauindo Almeida obtained the manuscript of "Distribucao De Flores" from the Office of Ministry of Culture in Brazil. Dated 1932. Rio de Janeiro, it is noted as a "Dance Based Upon Greek Motifs," employing the rhythmic and modal devices of antiquity expressed in contemporary fashion. 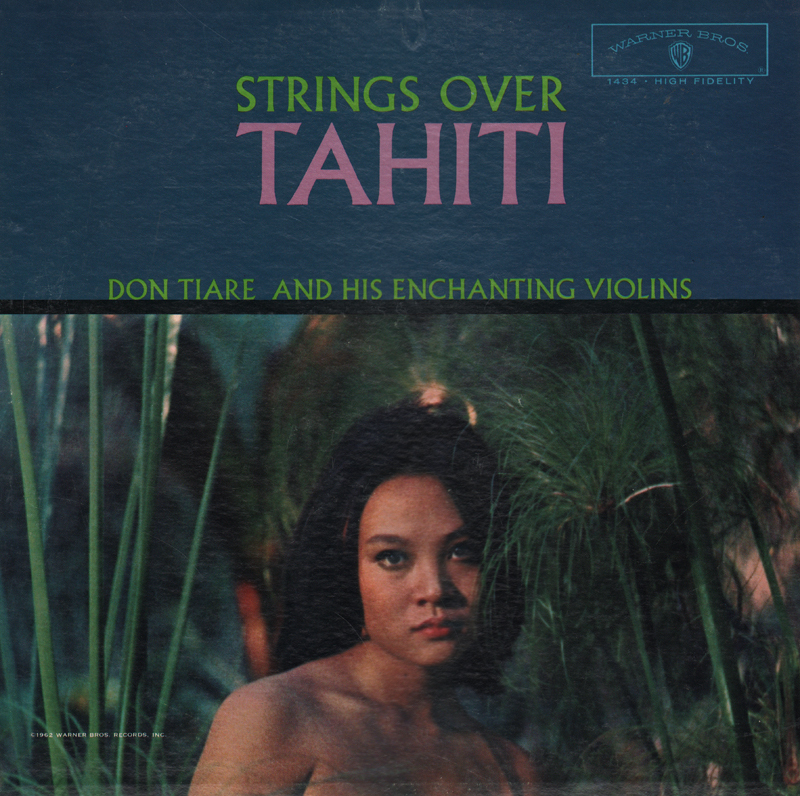 The flute suggests the pastoral quality of the Pan pipes in the curvaceous, plaintive melody while the guitar recalls the sound of an ancient lyre. Outstanding set that features the artists working in harmony to create an engaging sonic journey from beginning to end. Thematically solid and a touch experimental for the period. Fantastic! 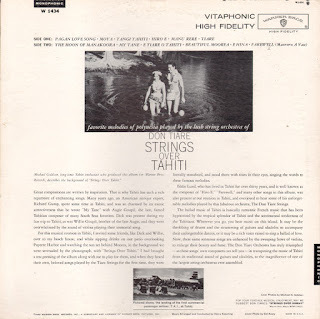 Lush strings album featuring stronger tracks on side one that play through with a slightly more space age sound. 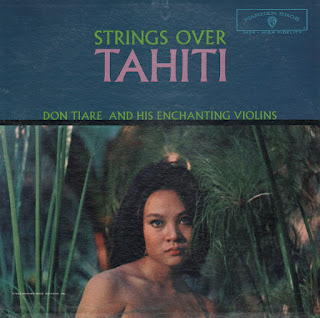 This set, apparently first released in 1965, features an uneven mix of more "traditional" "island mood"/ German polka blend and one more "space age" sample as featured above. From the back cover: The Carle style is essentially a simple method, but not so simple that it lacks character, and bite. His rolling approach to lightly rhythmic ballads, his sprightly crisp treatment of up-tempo tunes, both have their basis in the melody, that sine qua no of popular music. His variation on the theme are kept within easily recognizable boundaries, and the whole is bound within the delicate framework of tasteful, light-hearted pianistics. 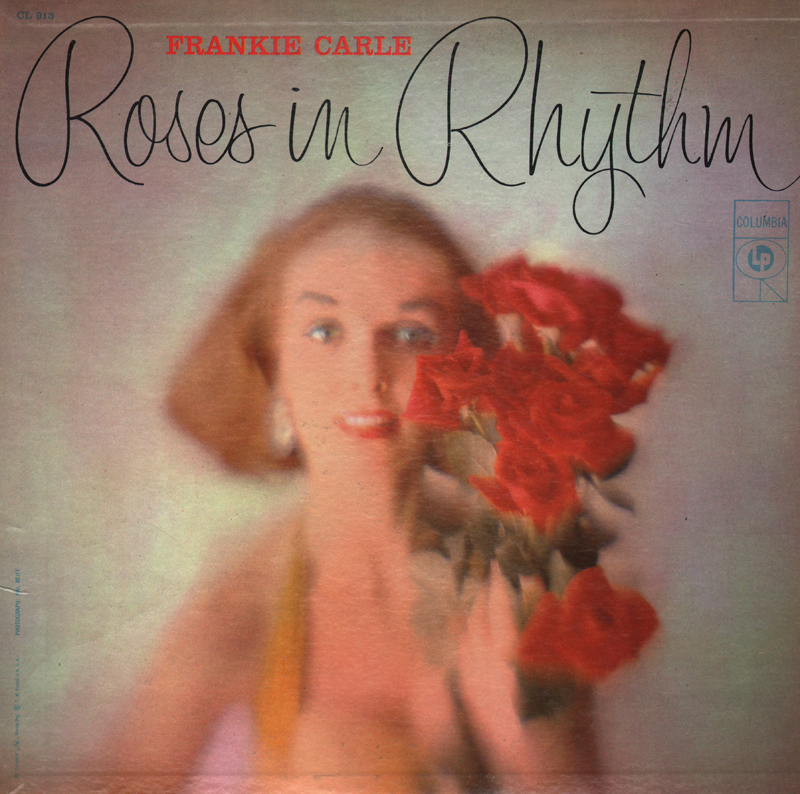 Recorded in Webster Hall, New York City, and RCA Victor Studios 1 and 2, Hollywood, California. From the back cover: Rockambo! That's the new, new word for today's red hot music, overlaid with a swinging Latin-American beat. 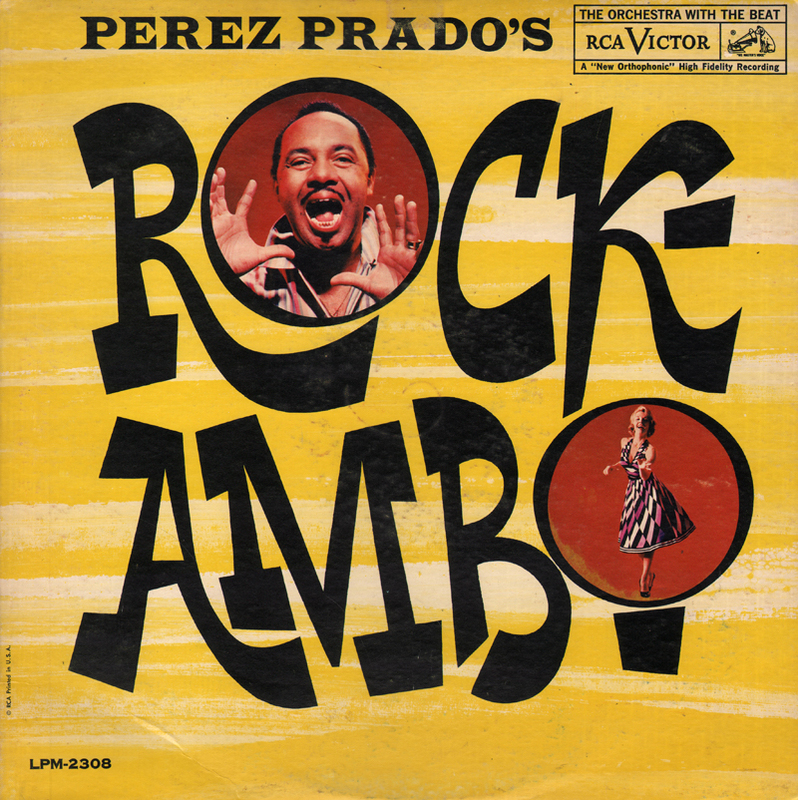 From Billboard - February 27, 1961: The newest Perez Prado collection is hitched to the Rockambo beat, which emphasizes the second and fourth counts. 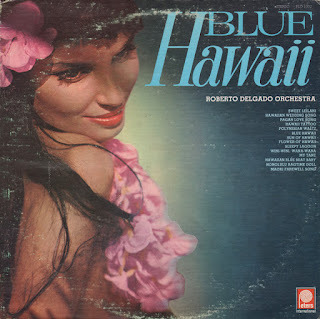 The result is a swinging brand of Latin music that is eminently danceable. Arrangements are superior and thus also make for good listening as well, as in the treatment of the old favorite, "Guadalajra," which became a showpiece for the percussion section. It should be a strong seller among Latin dance sets. From the back cover: About Billy Costa - A native son of Pennsylvania who has really made New York City proud of his decision to make his home in the music capitol of the world. Billy Costa has been acclaimed by music critics as an outstanding virtuoso of the accordion. In this album you will be immediately aware of his sensitive touch and Bravur styling. 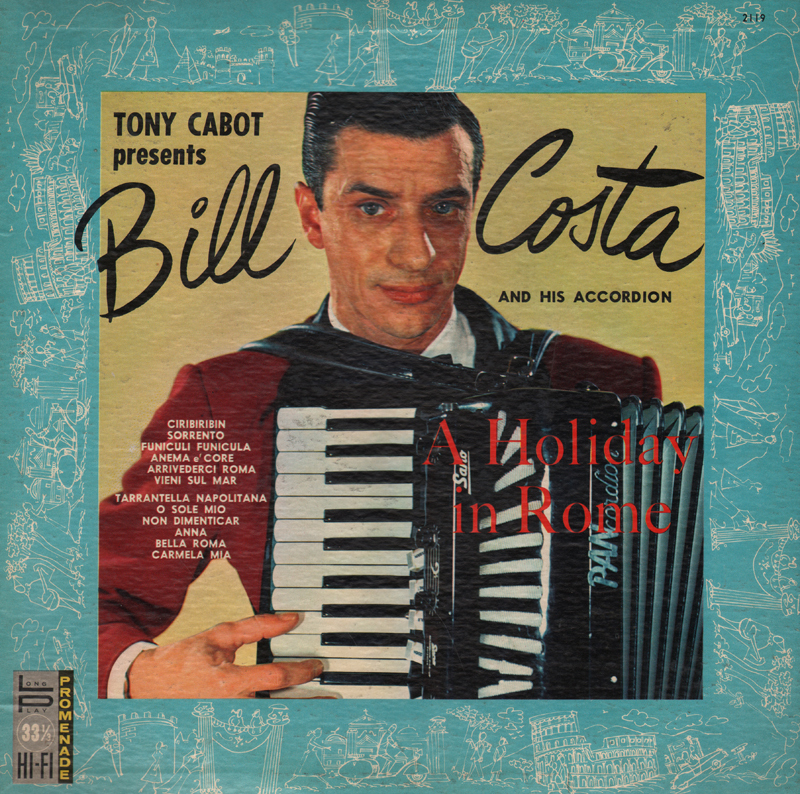 Modern as a satellite space ship and as classic as music demands Mr. Costa leads his musicians through a varied potpourri of Italian Popular Classics with deft precision and complete extemporaneous freedom. Background - BS and MA Degrees from Juilliard and Teachers College, Columbia U. – Own Jazz Combo - Hickory House, N.Y.C. – Own TV Show WPIX for Chateau Martin Wine – CBS Show with Alvy West – NBC TV Bandstand with Art Mooney – Records with Sammy Kaye, Dorothy Collins, Seeburg sessions for Ben Selvin RCA, arranged and conducted Westminister LP for Freddy Jacobs. Appeared at Carnegie Hall in Chamber Group playing a Henry Brant comp. Guest artist Ted Steele Show many times. Appeared frequently with own jazz quartet in N.Y. clubs (Birdland, etc.) also with many instrumental groups freaturing French or Italian flavor accordion, the latest on Coral with Stan Applebaum (French Album). At present coaching an actor for a supposed accordion playing role at Graphic Studio for "Evening In Paris" perfume, I will play the accordion track. Also, contemplating LP using Rhythm and 15 strings (Jazz type); writing and conducting LP's for a few singers; tentative-live Timex commercial - Steve Allen Show. My interests concern using accordion with as many new groups of instruments as possible, and still at all times being musical. Have also played for private parties of many society names, Cassini, Ginger Rogers, Greer Garson, Joan Fontaine, Fords, Vand, etc.